Ethan Couch, the Texas teen whose deadly drunk driving was excused by a lenient judge because of "affluenza," is serving his time in rehab on mostly taxpayers' money, RadarOnline reports. According to RadarOnline, it is largely the public who will be responsible for the now 17-year-old's $438,000-per-year rehab treatment. 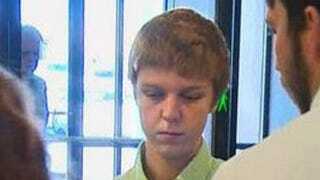 "Recently a judge ruled that the teen should be sent to North Texas State Hospital in Vernon. The hospital's rehab program charges $700 a day, but since it is a partially state-funded institution, Couch's parents would only be charged $38 per day for their son's treatment," Kenneth Webster, a contributor to Breitbart.com, said, according to the news site. "Thanks to taxpayers, Couch's rehab bill has been dropped from $438,000 annually to only $13,870." That seems a small fee for the affluent family, who have been sued for millions of dollars by the families of those killed in the drunk-driving accident, as well as by those injured. Last year Couch decided to take a drunken joy ride in his pickup truck after a party. He crashed into the car of Breanna Mitchell, whose car had stalled, killing her and three others who were trying to help her. Another teen boy who was in the pickup with him, Sergio Molina, was thrown from the vehicle. He landed on his head and was left paralyzed, with only the ability to smile and blink. Molina's family settled with Couch's family in early May. Couch had been staying at the Newport Academy, an upscale rehab center, complete with stables, a state-of-the-art gym, and massages and cooking lessons for interested patients.